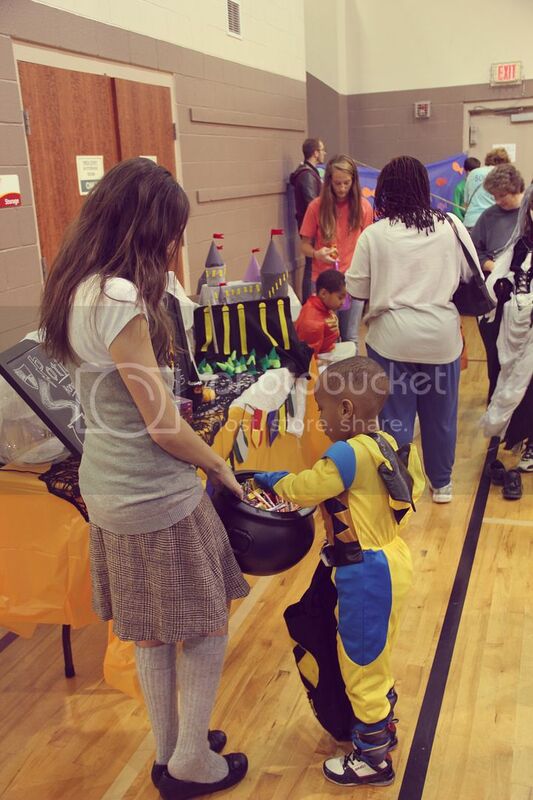 This year, the Olive Branch YMCA had a Trunk or Treat. 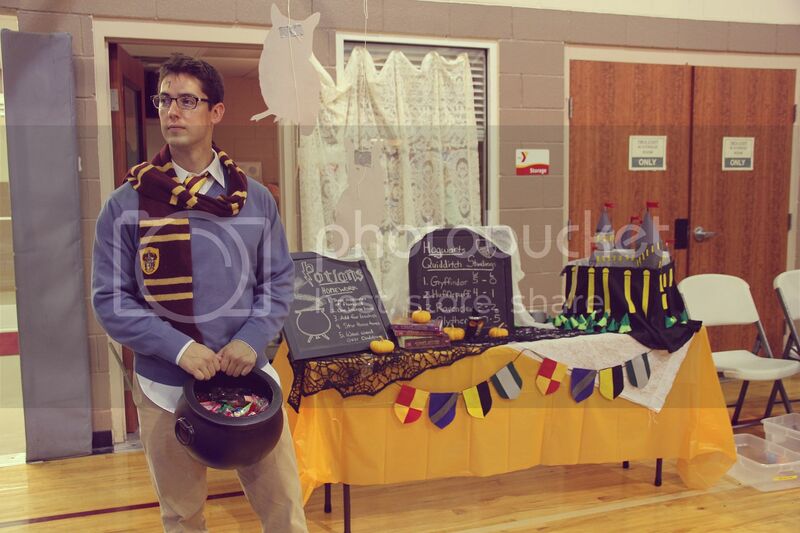 I was so excited to participate and had been working for a while to pull together our theme: Harry Potter. Well, it rained on Halloween sooo they moved it inside! No worries, we were still able to participate and we had a great time. 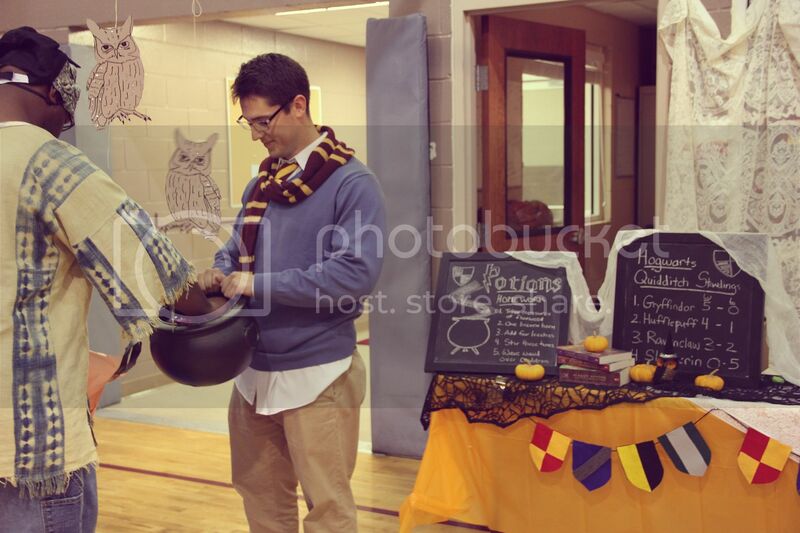 Not only were most of the kids (and parents) recognizing Jeremy as Harry Potter, but it's also so fun seeing how excited kids get over candy. So yeah, we clearly got really into it. The best part? Most everything was handmade, thrifted, or things we already had! I made some Hogwarts house crest bunting out of felt I already had and we threw together a Hogwarts using empty boxes and things we had recycled. 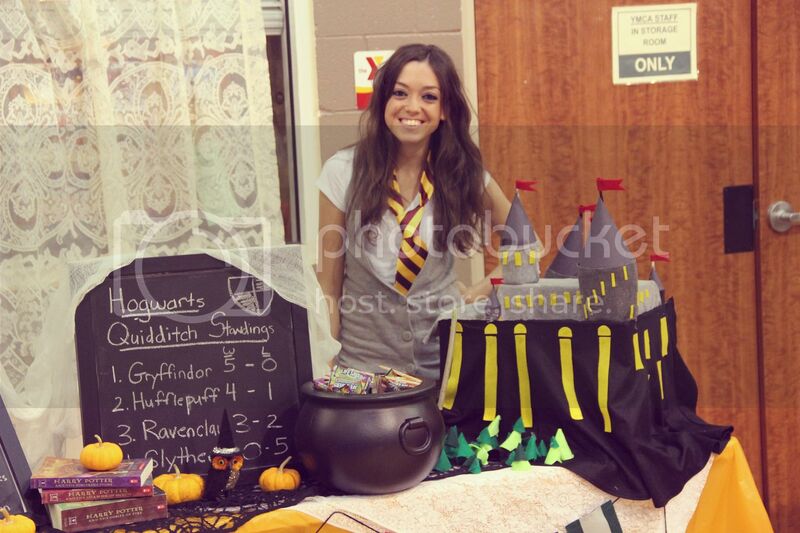 The tablecloths and fabrics were Halloween decorations and other things I just happened to have. The chalkboards are normally hanging in our kitchen! Jeremy just got really creative and used his artistic abilities to make them "Harry Potter-y". They looked amazing!! I'm really glad we chose a theme. It made it fun to decorate and I liked having a cute couples costume with Jeremy. We're already talking about how we're going to top ourselves next year!! Any suggestions? Y'all are seriously the cutest! I'm glad it went well! I absolutely LOVE this! Especially the HP part. ;) I think I need to look in our area for Trunk or Treats to be apart of...how fun! LOVE THIS. You guys looked great. What a fun event! Aww, you two are too cute!!! I think your table came out really well, I love how both of you were into it :) So great!